Small and medium enterprises in India are mostly self funded, said Samir Bhatia, CEO , SMEcorner, a new-age financial firm focused on providing quick and easy access to credit for MSME sector. SMEcorner has recently announced that it has received the NBFC license, which enables it to reach out to more customers. Please tell us about SMEcorner and its main offerings? 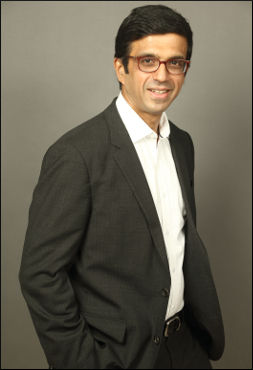 Samir Bhatia: SMEcorner is a new age finance firm, focused on providing quick access to secured and unsecured loans to the Indian MSME sector, with a special emphasis on the unorganized retail sector. SMEcorner was founded by Samir Bhatia who has over three decades of experience in the banking and financial services. Throughout his professional journey, Samir always felt thatthe process of getting working capital credit from banks, for the unorganized retail sector in India, was tedious and inefficient and the rejection rate was very high. He believed this prevented the retailers from taking new initiatives in the business that could lead to better business. He started SMEcorner with the belief that by providing easy credit facility to this sector he can support their growth. SMEcorner currently offersunsecured loans ranging from INR 50,000 to 30 lakhs. It also offers loan up to INR 1 crore, against property. SMEcorner's key value proposition is that it reduces the ambiguity around the credit application and approval process for the sector. You have recently received NBFC license. How it will help you? Samir Bhatia: Digikredit Finance Pvt Ltd, which owns and operates under the name SMEcorner, recently received the NBFC license. So far, while the entire application and approval process was managed by SMEcorner, the final disbursal was enabled by its partner financial firms. The NBFC license for Digikredit will pave the way for higher processing and disbursement of loans for SMEcorner. It will now have a dual approach where in loans can be booked on the books of Digikredit as well as its financial partners.For customers, it would mean more products and larger volume of credit. Credit is a major obstacle to the MSME sector? Samir Bhatia: Yes, credit through formal channels like banks have been a deterrent in some ways. Most banks have had a robust paperwork requirement, common for all businesses and hence sometimes not suitable for small retailers where majority of business is through cash transactions. Moreover, once an SME applies for a loan, there is ambiguity about the approval and the time it may take for approval. Most times, for businesses run by small teams, a visit to the bank is loss of important working hours and leads to loss of business as well. The unorganized SME businesses had to rely on moneylenders for loan which has a much higher interest rate. We believe, smart phone penetration, increase in the usage of cards and online transactions amongst other things like GST will have a long term positive response and will change the way financial institutions view SMEs. You views on the current scenario on India's institutional credit? Samir Bhatia: SMEs in India are mostly self- funded with only 5% having access to formal credit. Traditionally banks have not been able to offer loans because ofhigh cost of loan origination, underwriting costs and lack of the required financial documents from the SMEs. Use of GST and Non-Cash transactions: SMEs are forced to pay GST, which in turn is creating a much needed standard financial trail, needed for processing of loans. New age NBFCs /fintech's flexible approach: The new firms have access to better technology and an ability to create sector based algorithms. By using big data analysis and machine learning , they are able to make quicker decision on credit worthiness. Where this mechanism is flawed and how NBFCs can make a difference? Samir Bhatia: We cannot say the system is flawed, they have been an integral part of the Indian financial needs. The new-age technology based firms are making use of extensive reach of smart phones a to reach out to an otherwise underserved segment. I would think the two systems complement each other rather than compete. How NBFCs can reach the last mile customers where banks cannot? Samir Bhatia: The question really is not about physical reach, the banks, especially the public -sector banks have a robust presence and have a wide reach across India. However, as discussed earlier, the banks have stringent policies and need financial paper trails, which an unaudited SME is often unable to provide. The new-age financial firms on the other hand are able to evaluate the credit worthiness of the retailers/ small enterprise basis multiple other data points and use complicated algorithms to see more about the SME beyond his financial papers. Your suggestions for MSMEs on preparation before applying for loans? Samir Bhatia: Our advice and approach isto uncomplicate the paper trials. Divide the papers in two key segments, business finance and personal. Make sure you organize them in a chronological order to ensure there are no missing trails. Bank records, Income tax records, GST, shop/factory ownership papers are some of the must have documents needed by all financial firms to provide loan. The SME should also proactively check its CIBIL score and work towards improving it. One way is to pay all bills and outstanding on time. Finally, the passion, commitment and integrity of the SME owner may also influence the credit decision by an NBFC. Samir Bhatia: SMEcorner is currently present in select cities in Maharashtra, Rajasthan and Gujarat. In the next three years, it intends to have 150 branches across 35 locations in 8 states and build a book size of INR 5000 crores. It will expand and hire people for business growth, risk processes , technology and marketing.It offers secured loans against property and unsecured loans .It will add on more product lines and aims to be the one point of contact for all the credit needs of SMEs.